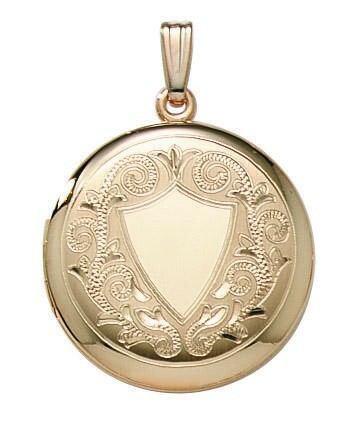 A dignified locket with the vintage shield motif. Circa 1880's. 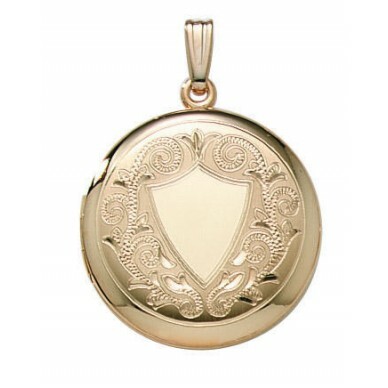 This new locket in 14K gold is aprox 7/8" across and can hold two pictures with plastic inserts to protect the images. Comes with a 20"14K rope chain and has a lifetime warranty.